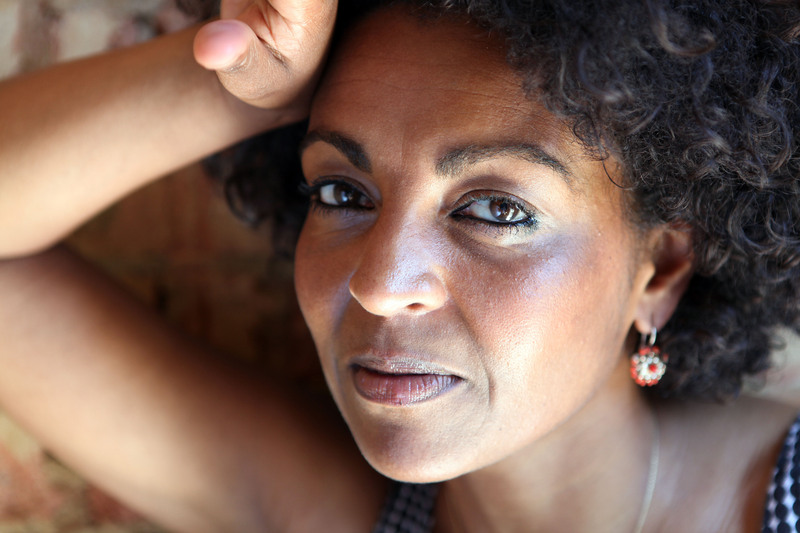 Leading lady Adjoa Andoh is a British actress of film, television, stage, radio and screen. Andoh talks about her career journey “my first professional job was in 1984 in a place called Drill Hall, in central London”. She has come a long way since then, making her Hollywood debut in 2009, in the film Invictus, directed by Clint Eastwood in which she starred alongside Morgan Freeman. The actress explained “how I got started, I was being a good Ghanaian girl, so I was doing a law degree that I hated. I always wanted to act, I was one of those kids who would get all my friends into the front room and make our parents sit down and watch”. Known for her stage roles at the some of the UK’s top theatres, RSC, the National Theatre, the Royal Court Theatre and the Almeida Theatre, to name a few, Andoh soon dropped her law degree “as her father wept down the phone” to pursue her acting career. While still studying she joined a Black women’s group, “one of the group members was a writer and actor” who had her own theatre company, funded by Ken Livingston and the GLC. “That was in 1981, Andoh accounted, it was the first time I was introduced to black women writers like Efua Sutherland (a Ghanaian playwright, director, children’s author, poet) and Alice Walker”. When asked to join the theatre group and told to audition for a show in London her fate was sealed, at the time she was working a Bristol legal centre. She said “I had never auditioned for anything where I grew people never did acting for a profession, they did it for fun and then they went to see other people acting. I auditioned, and I got the job I was going to take two months out to go to London but that was it I never went back. I stayed in London living in a squat in Brixton and I cleaned toilets and modelled for life drawings classes. Eventually a year later, I heard about auditions, this is something I always hold on to, other black actresses told me about auditions, so they put me in competition with them, which is the most generous thing they could do. One of these auditions was for a theatre company called Theatre Centre and I worked for them, I got my equity card then, that was in 1985”. Since the 80’s the actress had been a regular on BBC Radio 4 this includes Book at Bedtime, Poetry Please, and several radio dramas and as an occasional guest presenter. As a familiar face on British TV her credits include Doctor Who, 90 episodes of the BBC’s long-running medical drama Casualty BBC’s EastEnders. Andoh is the voice of Alexander McCall Smith’s No. 1 Ladies Detective Agency; she won “Audio Book of the Year” for Tea Time for the Traditionally Built. Andoh was recently on stage in Winsome Pinnock’s Leaving Taking at the Bush Theatre playing Mai. She said. “Mai is an Obeah woman and Obeah has always got this bad reputation of being this negative juju and dangerous thing. But it was a way that people stolen from Africa tried to hold on to their traditions. So, it was always denigrated by slavers because why would they want to allow African people to hold on to their cultural traditions because if they held on to them then they are less manipulable. If you could rob them of their culture, their history and tradition then you can do what you want with them. So, for me Obeah and that link with their African heritage was a way to keep people safe and strong and able to withstand slavery. So #Obeah, traditionally people say is about predictions and protection and keeping people spiritually strong and safe. I know in other productions she has been played as a joke character, but I really wanted to play her as a strong rooted woman who in the 21st century, is the place where black people living in a foreign culture can go and breath out, let out their heart, let out their fears and let out their concerns”. Can a play made over 30 years ago remain relevant? Making its stage debut at the Liverpool Playhouse in 1987, Leaving Taking deals with the displacement of Jamaican families, described as “a play about relationships, identity and the role of the past in the present”, winning Pinnock the George Devine Award in 1991. As Andoh explains “it is about what happens if your parents are from a different culture and you are from this culture because you are born here, how do parents and children cope with the different expectations that they have.” She continues. “Well if you watch the show you can sadly see not much has changed, the stuff that is happening with Windrush now Winsome was writing about in 1987, of people who have been all their lives part of the British empire and suddenly being robbed of their citizenship, so that happened in the 80’s but it is happening now again in a more terrible way. but why the play is still relevant it is about what happens if your parents are from a different culture and you are from this culture because you are born here, how do parents and children cope with the different expectations that they have, that is a story that would be relevant for you Joy, it is relevant for Giftie and for me. It is relevant if you are from anywhere in the European union. I have had friends from the Baltic states and it has been relevant to them. It is also about single mothers raising their children, how they cope with doing that. It is also about being a person of colour and being valued less in the world and what can happen when you bring that hurt and anger indoors what happens to your family life. So, it is about all those things and I think it has universal relevance and it not something you go oh it was written in 1987 so it is no longer relevant, you would not say that for Shakespeare, Pinter, Wole Soyinka and numerous other writers. From the conversations about, identity culture and citizenship, the Windrush scandal, there are a lot of conversations happening right now and the biggest coming into 2018 has been #Timesup and #Metoo, where gender equality across industries is being discussed globally. But are women of colour really on the agenda? Adjoa states. “No generally no, because generally they are representative of white women because they are talking about misogyny, and we have to deal with misogyny and racism. so, for us there is a much more complex set of challenges and I think often there is an extra sexualized element that is put on women of colour that comes from empire and slavery. When you abuse women, when you steal their children from them, when you decide to see them as sexual objects to be used as you see fit. Then that prejudice gets laid on us for no other reason then what we were useful for to those who were enslaving us and treating us badly. The perception that women of colour, black women are sexually available, that thing about Black Panthers in a sort of sexualized way, all that sort of stuff that is to justify stealing our children. So, I think if the #Metoo, #Timesup, then good, if it makes men in general see women as whole human beings, but we must deal with misogyny and racism. And the thing with us because of racism you would not split us from our men folk, so it is a much more nuance and complex set of values that we are juggling, and that nuance is not necessarily to the fore in #Timesup. A BFI report on Black Actors in the UK from a sample covering 1172 films from 2016 to 2016, found that 59% of UK films did not feature a named black actor at all. Andoh addresses whether roles have got better for black women in the last 10 years. “I think quite often we are the only black people in the room, sometimes in a rehearsal, that is boring. We need to get away from the prostitute and the strong black woman paradigm and into something that is a lot more nuance. The joy in this play is you see black women who are a variety of things because they are more of them. We need to tell our own stories because when we tell our own stories we are not catering to someone else’s prejudice of us”. The much in demand actress has a lot to look forward to with a busy schedule ahead of her she said. “We (BBC Radio 4) are doing all six of Maya Angelou, s autobiographies, the first one has been broadcast, I am sort of the narrator, I am Maya Anglelou and then they are younger Mayas, in a drama bit woven into it, we are going to do all 5 books over the next year, so they will be on the radio at some point. Then, I am writing a play for Radio 4 called Wonder which is about being a reader in the church of England. I am going to co-director an all women of colour Richard II at the Globe that opens in February, that’s all I can think of”.